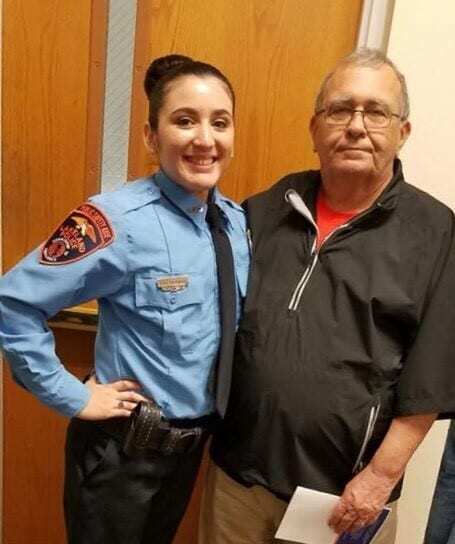 Mr. Redmond, Program Chair for Crime Scene Technology & Forensic Investigations (FI) at the Lakeland campus, recently attended the Lakeland Police Department swearing-in ceremony for Alyssa Gatzimbide as a Public Safety Aide (PSA) who is a FI graduate. As a PSA, she will be investigating burglaries and other property crimes as well as processing these scenes for evidence. Likewise, Ms. Gatzimbide will also assist on major crime scenes.